At which corner of the the world you may reside, a traditional Indian home decor can refresh the memories of your childhood. Open your eyes to the warmth and happiness of a true Indian home by giving it a traditional look. This can be done by changing the colours of the walls, adding vintage furniture and installing large glass lamps. These are all high budget items right? So how to give a traditional look to your house without spending much? Let’s checkout. 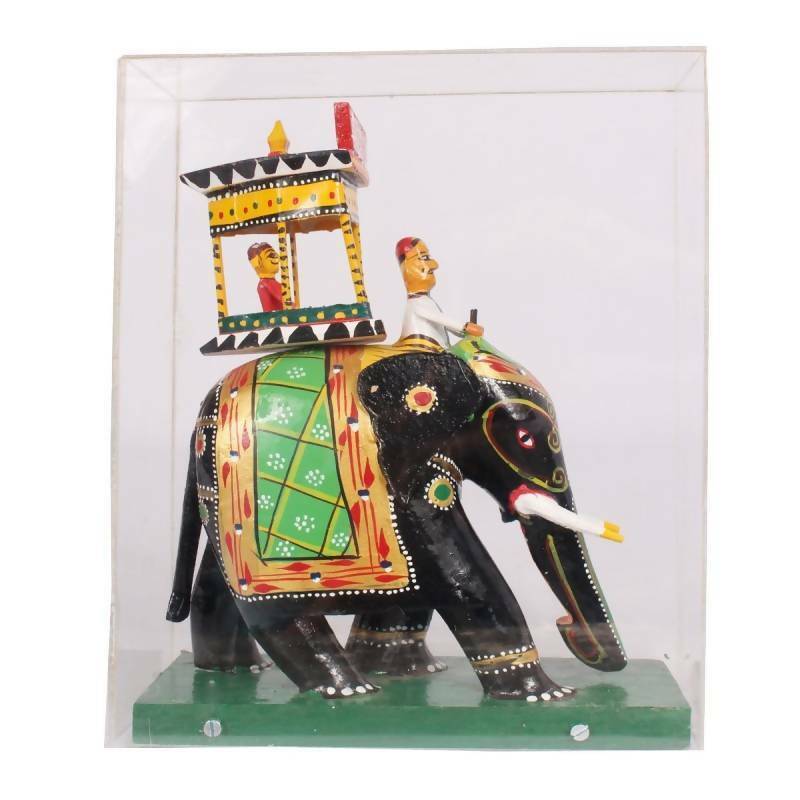 The bullock cart or the Ambari Elephant from Kondapalli can bring a wave of colour to your living room. Hand painted and made with soft wood from the forests of Andhra Pradesh, these statues bring home the true Indian essence. The showpieces like Etikoppaka Mother and child also spreads the message of eternal love and bonding. If you are a music lover let the world know about it through home decor items like Etikoppaka handmade wooden Veena. An Indian home is incomplete without a pooja ghar and statues of Indian Gods and Goddesses. Adorn your cabinet with sets of Kondapalli Gopala Krishna or Kondapalli Rama set to give your home a divine touch; idols of Gods and Goddesses are also an integral part of Vaastu. The brass statues of Lord Krishna, stone idols of Lord Shiva and clay idols of Goddess Laxmi are some of the must haves in an Indian household. Keep some space for pooja. As already stated, a pooja ghar or some exclusive space for worship is a must in any Indian household. If you cannot spare a room to serve as a pooja ghar, go for a small pooja temple. These pooja temples are available in various sizes to match the room capacity. 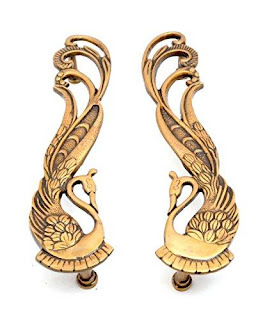 Besides pooja temple, the brass pooja accessories like panchapatra, incense stick holders and oil lamps completes the traditional look of the house. Let the melodies of wind chimes fill your house. The multicoloured parrot wall hanging set adds a splash of colour to the light coloured walls while the hanging bells made from brass or wood spreads sweet sound through the house. The peacock designed brass door handles, cotton door mats, peacock designed brass towel hanger and the peacock hanging brass diya with bells are few more items which adds an Indian charm to the house. Any Indian festivity is pale without the presence of sparkling, multicoloured rangoli. Spread the kundan studded acrylic rangoli on the floor or add these to the walls to let your home speak for itself on any joyous occasion, pooja ritual or wedding. Wooden and brass home decor like bells and lamps. Hand woven, multicoloured mats and carpets. 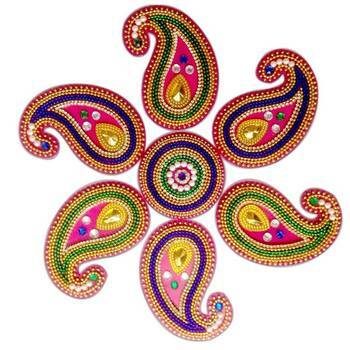 Beautifully designed and brilliantly coloured rangoli stickers. So try out these super cool home furnishings and decor to give your home a real Indian appeal.